Erreà football shin guards. 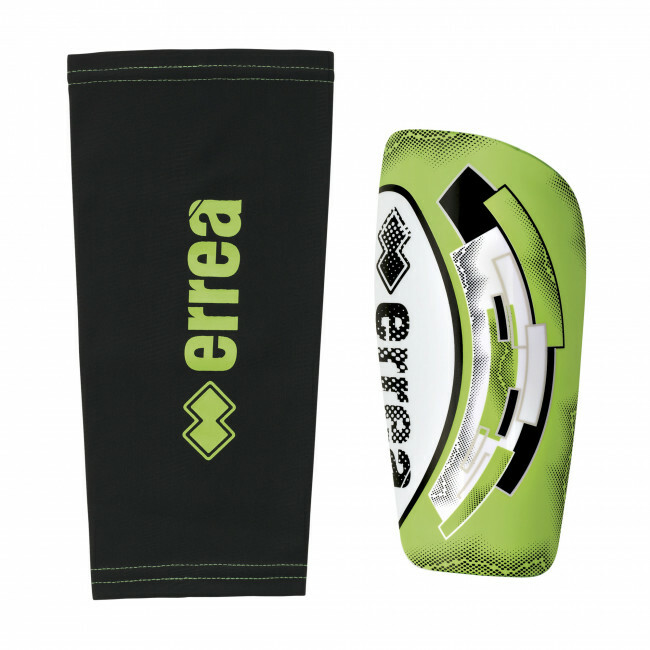 Thanks to the flexible structure and compression band which secure the protective plates in place, Erreà's Lunar Shield shin guards guarantee maximum protection and comfort throughout play. The main features they offer include: polypropylene shell; polyurethane foam padding to guarantee better protection; soft synthetic lining for better comfort. These shin guards are recommended for use in matches.